This winter has been considerably nasty, even here on the Texas Gulf Coast. These crazy up and down temperatures have really confused the birds. 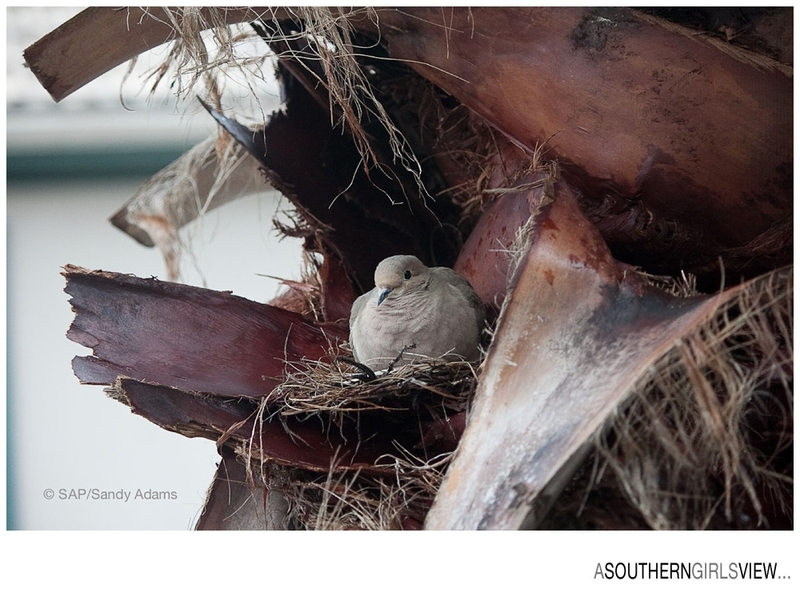 I am lucky enough to have a huge palm tree outside my upstairs window and throughout the year bird families raise their young for me to watch on a daily basis. 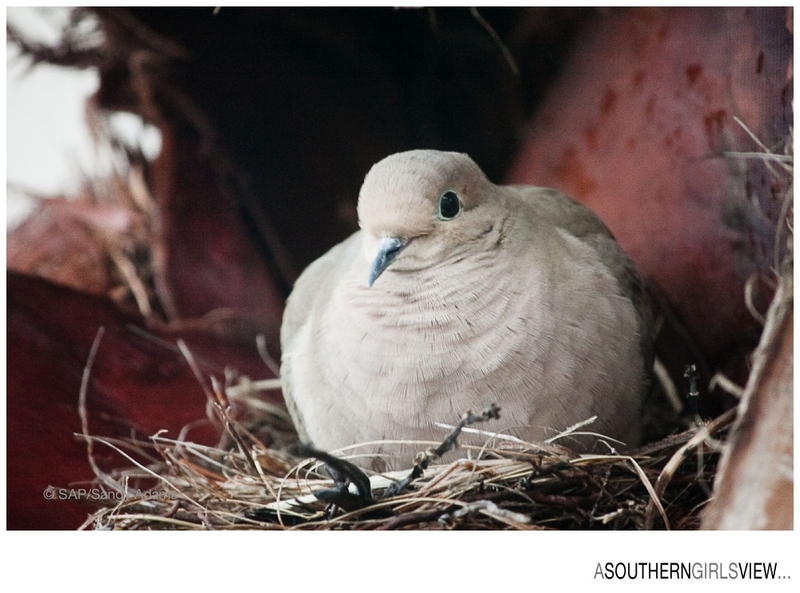 This year the first little dove couple tried a couple of times to nest, but the weather drove them from the nest both times. 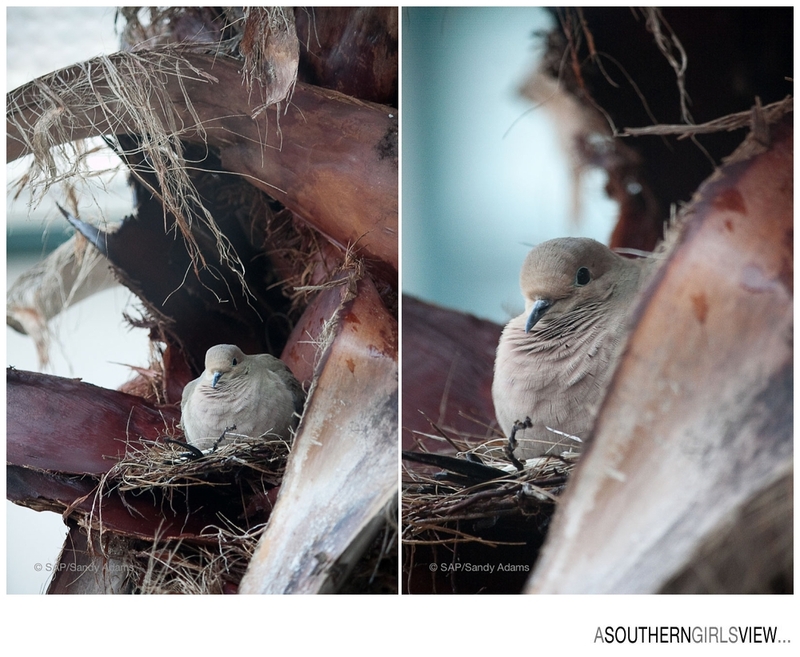 Finally about a week ago, the mama dove had laid her eggs and was there to stay. But the very next day, cold temps, wind and rain set in. The mama dove never moved! 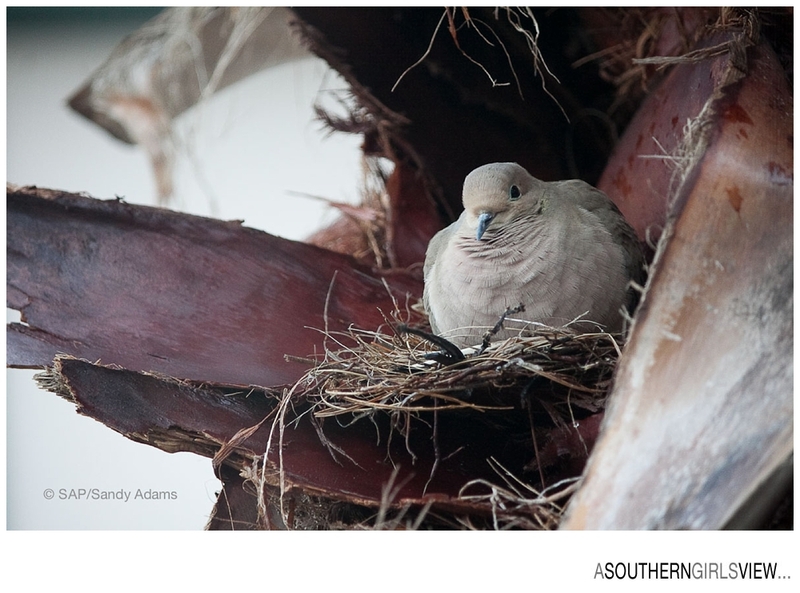 Still periodically for the past week, temps have been cold mixed with wind/rain, but the mama dove never left her eggs. Here are a few shots from yesterday while the rain let up.